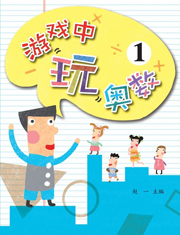 2013This collection trains children's mathematical thinking from beginner to math champ. This collection trains children's mathematical thinking from beginner to math champ. The content is interesting and relevant to daily life, enabling children to learn mathematical concepts and logical thinking through games. The game cards help children to visualize the solutions to tricky math problems. The books are for children aged from five to eight.